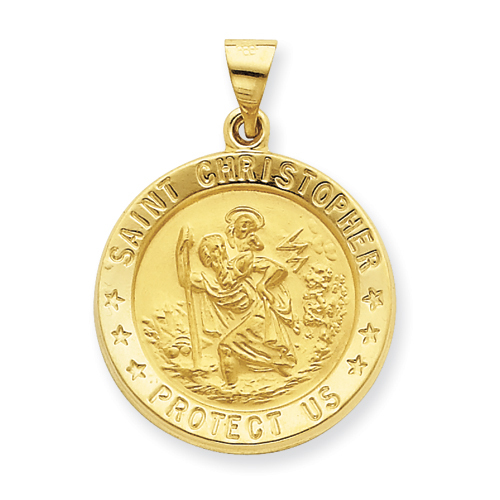 This die struck, hollow round Saint Christopher medal is made of 14kt yellow gold. Item is 7/8in without loop and bail. Weight: 1.94 grams. Chain not included. 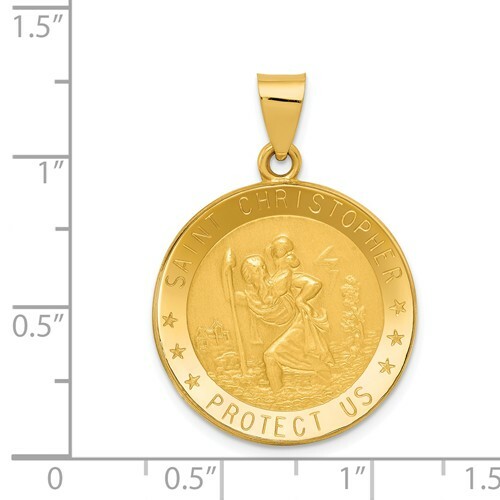 I bought this medallion thinking it would be light. To my surprise it was perfect weight. Will definitely purchase more for family members.